For almost 70 years, West End Power Equipment Co. has been a go-to place for individuals seeking the proper equipment to tend and maintain their property. The company has two locations — the New Milford store, at 265 Danbury Road (Route 7), and the Danbury store at 56 Beaver Brook Road. Lynn Mazik, secretary for the business, whose parents, Michael and Margaret Hrabcsak, opened the New Milford store in 1996, said the company stands behind what it sells. The family-owned business sells lawn and garden equipment and parts, as well as operates a servicing department at its Danbury location. 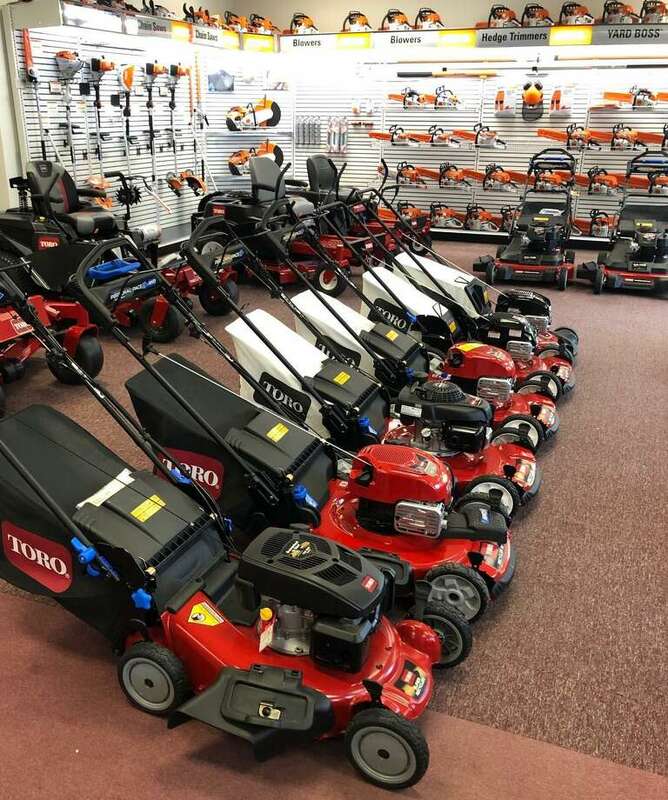 Commercial and residential lawn mowers, hedge trimmers, lead blowers, snow blowers, small backhoes and more are among the extensive products the store carries, according to the Hrabcsak’s son, John, who operates the New Milford store. Another son, Michael Jr., and Lynn’s husband, Christopher, run the Danbury store. “They know equipment and what it can and can’t do,” Lynn said of the company’s staff. John said the majority of products sold are geared toward landscaping, not construction, although some items can handle bigger yard jobs. Among the brands carried are Honda, Yanmar, Toro, Redmax and Stihl. The company focuses on quality products that can stand the test of time. “We sell products that focus on longevity ... that you can repair,” John said, noting many products sold at larger, mainstream stores aren’t meant to last 50 years. David Klanica, of Newtown, describes himself as a lifetime customer of the business. About eighty percent of sales are with homeowners, while 20 percent are with commercial businesses. Between the two stores, customers are from Litchfield and Fairfield counties, as well as Putnam and Westchester, N.Y., counties. Krones traveled from New York to purchase equipment first in 1997, then a few years later to make an upgrade. “They’re incredibly knowledgeable,” Krones said. “They’re honest, hardworking, reliable and trustworthy. “I’ll be doing business with them as long as I can,” he added, noting he is, however, disappointed the company no longer carries John Deere products. John said relationships with the customers are an integral part of the business. Staff greets customers warmly, first getting feedback — including property size and purpose — and then makes a recommendation. “We try to fit the piece for the person,” John said. Founded in Danbury by Joe Mosca, the company first serviced cars out of a garage, but by the late 1960s and early 1970s had branched out into power equipment. By 1972, the company was a full-service lawn and garden equipment business in Danbury. For more information, call West End Power Equipment at 265 Danbury Road in New Milford at 860-355-8722.